If you believe a Minnesota will or power of attorney should be declared legally invalid, you must have legal standing as well as valid grounds for doing so. Civil courts in Minnesota and other states set the bar high for such contests, so it may be best to hire an experienced attorney to guide you through the necessary filings and procedures. Review the will carefully and familiarize yourself with all of its contents, including any codicils, or amendments. You must have legal standing to contest a will in Minnesota, which means you must be one of the beneficiaries in the will, an automatic beneficiary such as members of the immediate family or close relatives, or someone who is named in the will. Ensure that you have a legal basis to contest the will. Wills in Minnesota may be contested on the grounds that they are fraudulent; that they were drawn up by the testator under duress or undue influence; that the testator was incompetent at the signing of the will; or that the will presented to the probate court is an earlier, invalid version of the legally binding current will. File an action in probate court, the Minnesota civil court that hears matters relating to wills, to have the will stricken. The court will halt normal proceedings in the matter and begin an investigation into the will and the allegations you have presented against it. The court will set a hearing date on which the parties may present their evidence and argue their cases before a judge. Contest a Minnesota power of attorney by having valid grounds to allege that the appointed person -- known as the "attorney-in-fact" -- has abused his fiduciary duty to the principal who granted the power of attorney. This includes fraud, theft, incompetence and/or other such actions that undermine the best interests of the individual granting the power of attorney. 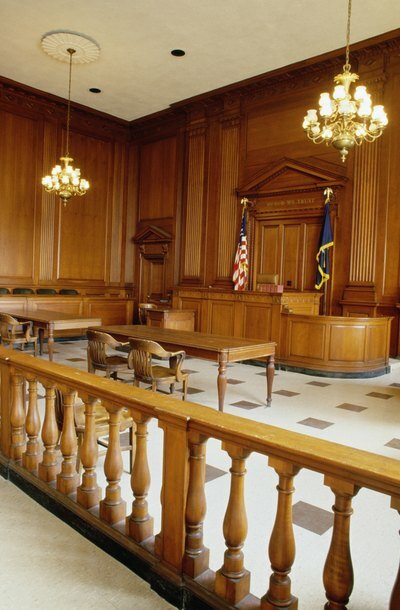 Hire an attorney to file a suit in civil court to strike down the power of attorney. The court will enter the suit on its docket, appoint a judge to oversee the proceedings, and issue a discovery calendar for the period of time in which the parties of the lawsuit are permitted to submit evidence supporting their positions. A guardian ad litem is a legal term which specifies that an individual has been appointed to act on behalf of another individual -- typically, this is a child, although it may be others who cannot act on their own behalf. In Virginia, a guardian ad litem must be an attorney licensed in Virginia and in good standing with the Virginia State Bar. The guardian ad litem also must have completed a required training course. Guardians ad litem are instructed to work in the best interests of the person whom they represent, and courts view the recommendations of the guardian ad litem as significant. Given the sensitivity of the position, if the guardian ad litem is not representing the best interest of the person for whom he is appointed -- or, if other problems arise -- a process exists to remove the guardian ad litem.